This Pop-in swim nappy liner is designed to be used underneath the Pop-in swim nappy to help make change time a little less messy! 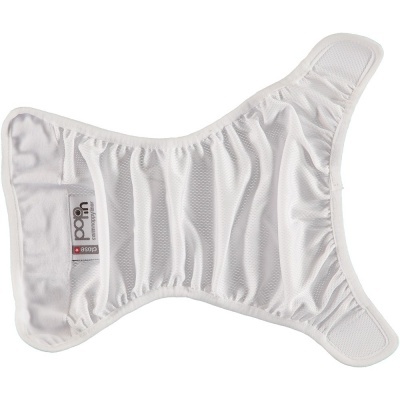 The lightweight flexible liner has a waterproof coating and allows the swim nappy to be pulled down and taken off whilst keeping any little accidents safely contained within the liner for stress free change time. 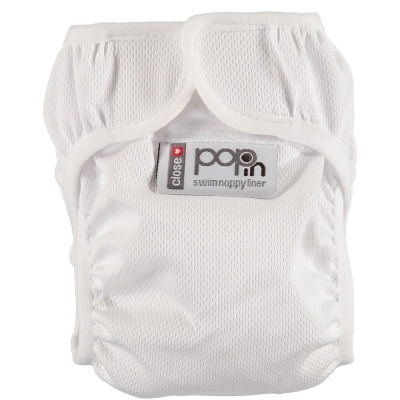 The gentle stretch binding, handy soft side tabs and soft velcro closure allow for easy changing and removal of the nappy when it is time to get little one clean and dry again and provide a flexible, cosy fit around baby.